February 2015 - Page 2 of 6 - Tecdr Tech Security Blog. What could be on your computer? A computer is not bought to spy on you or steal your data and you should not expect to have your privacy compromised. When you buy a computer that has Windows already preinstalled, it will come with bloatware and possibly hidden software that you may not know about. You will probably be wondering what bloatware is and what does it do to your computer. Bloatware is software that comes preinstalled on your computer and it can be trial versions of software or Metro apps (the colourful tiles that appear on the Start screen). Anti-Virus software and games are the main bloatware culprits and have been known to cause problems especially anti-virus software. Most computer manufacturers make money on the bloatware installed on your computer as software manufacturers will pay to have their software preinstalled on brand new computers running Windows. As a consumer you should be able to choose what software you want on your computer. You should not have to use the anti-virus software that came bundled with your computer especially just because the software company paid for it to be placed on your computer. When you buy a pair of trousers, you don’t get a belt with it, you get to choose what belt you will wear. Lenovo CTO Peter Hortensius wrote an open letter on Lenovo’s website yesterday indicating that Superfish is indeed a security risk and more serious an issue than they stated last week. 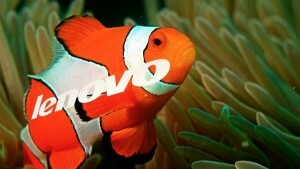 There is also one lawsuit filed against Lenovo in the U.S. with more pending. One hopes this is not the tip of the iceberg and that other computer companies have not preinstalled hidden software. You don’t want to be thinking what could be on your computer.